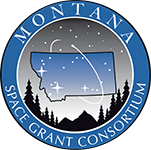 The Hiscock Radiation Belt Explorer (HRBE) was named in honor of Dr. William A. Hiscock, founder of the Montana Space Grant Consortium. HRBE launched from Vandenberg Airforce Base in California on October 28, 2011. 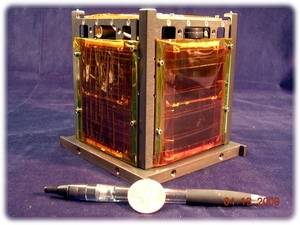 Formerly known as Explorer 1 [PRIME] (E1P), the Cubesat-class satellite was developed by the Space Science and Engineering Laboratory (SSEL) at Montana State University. HRBE's mission is to detect the Van Allen radiation belts in honor of the 50th anniversary of Explorer-1, America's first satellite that first discovered the cloud of highly energetic electrons trapped in the Earth's magnetic field. HRBE carries a miniature Geiger tube donated by Dr. Van Allen using it to measure the intensity and variability of these electrons in low earth orbit. HRBE also demonstrates software technology developed at SSEL that uses a popular chip radio to close a digital data link with standard ham radio hardware allowing people around the world to contact the satellite and download science and housekeeping data.